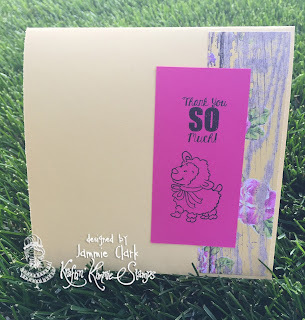 I went for a super clean and simple springtime look with the sweet little lamb from Blessings of Peace. 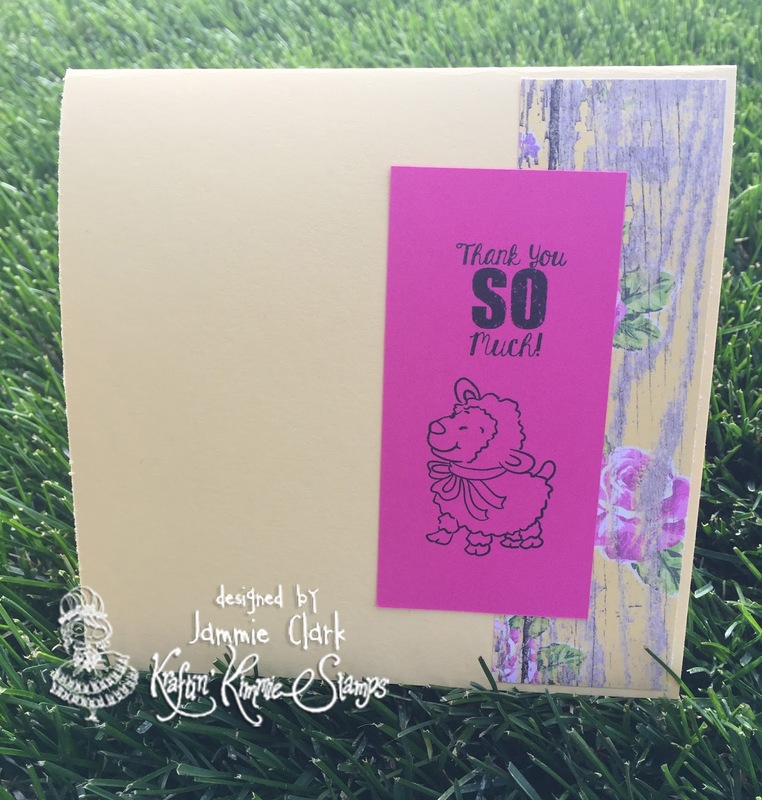 The sentiment is from the Hoppy Friends set but I thought it was PERFECT for this little card. Inside I simply re-stamped the lamb and used a sentiment from the Sincere Thanks set to finish off my card. I really hope you like it. We want EVERYONE to be able to play along so your submission can use ANY stamp and can be any theme, any style, any design and it can be a card, a scrapbook page, an altered item....you name it!! It must be a NEW creation and you can enter on this post until April 18th at midnight! At the end of the month one random winner will be chosen from all the submissions for the whole month and will receive a $20 Gift Card to the shop!!! What do you think.....wanna WIN?? Let's see your krafty stuff! !